Gloria Jean, thought to be the oldest-surviving Universal Pictures star of the Golden Age of Hollywood, died August 31, 2018, at 92. Her death was confirmed by GloriaJeanSings.com. The cause, as reported in a statement prepared by Scott MacGillivray, was heart failure. Gloria Jean Schoonover was born in Buffalo, New York, on April 14, 1926. Singing in vaudeville as a toddler, she moved to Pennsylvania, where she became the youngest trained coloratura soprano in a professional opera troupe in the world. Her voice led to a 1938 Universal audition, which in turn led to a 20-year career in films that kicked off with The Under-Pup (1939) and culminated with a bit part in The Ladies Man (1961). She starred alongside Bing Crosby (1903-1977) in If I Had My Way (1940) and W.C. Fields (1880-1946) in Never Give a Sucker an Even Break (1941). 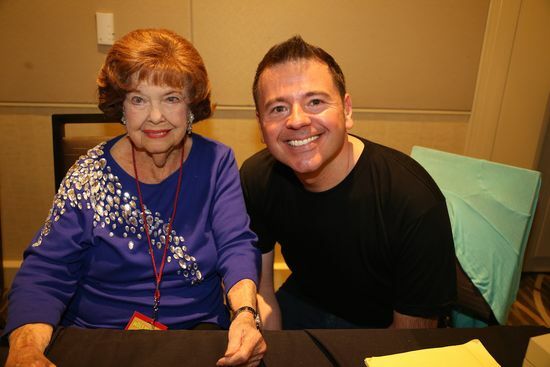 Meeting Gloria Jean in 2014! 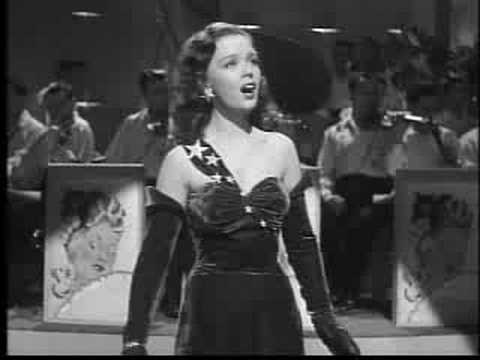 Coincidentally, smalltime singer Susan Miller (1920-2018), who appeared in that Fields flick died the same week Gloria Jean did. When Jean's career cooled, she worked as a restaurant hostess, which sparked sympathetic press, but not enough to rekindle her career. Instead, she worked for Redken Labs for 30 years, retiring in 1993. She is survived by her daughter-in-law after the death of her son in 2017.